There are so many popular tourist destinations in this historic city that are worth visiting. However, if it was not for the professionalism in proving quality services, moving in the town center could be complicated. There is lots of traffic during pick times, but our clients could cope with it without any problems due to the best vehicles provided and knowledgeable drivers. According to your requirements, the roots can be specifically designed to satisfy your particular needs. Visiting famous places like the Spanish Civil War Museum, the Military Museum, and Casa de La Fortuna, as well as the other attractions on the, must visit list are going to be part of a big schedule program. When it comes to large groups traveling turning to the services that can provide rental of a high-quality coach is essential. Cartagena is a trendy tourist destination for day trips excursions or a more extended period of stay in the city. Some groups consist of children, pensioners, ordinary tourists and foreigners who often come to visit the city hence professional couch rental service has always been in demand. Contact us over the phone or another method that is convenient for you. Tell us when you need the transport and how many people will have to be fitted. Receive recommendations and quote estimate. The whole process of booking is relatively easy and straightforward. We will provide you total peace of mind by offering the best service and competitive pricing. The range of our fleet consists of couches of different sizes and variety of leading brands. Every vehicle comes according to EU’s standards of safety regulations. The transport we rent out is modern, clean inside and out, new and supplied in pristine condition. 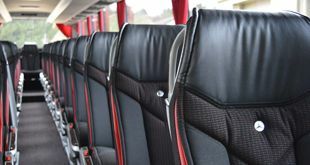 The travelers will undoubtedly be satisfied with the services provided by our firm as all the buses are equipped with all the modern features such as plasma TVs, DVD, air conditioning system, onboard toilet, tea and coffee making facilities, etc. If you rent a couch via our services, the cost of a professional driver will also be included in the purchased package. 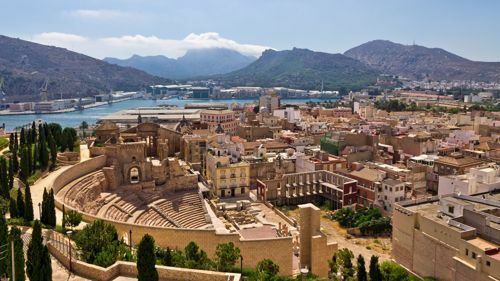 Cartagena is a city of substantial size, so it is vital to have a driver who knows the roots, the traffic and can minimize journey times hence the clients have more free time to enjoy their trip. The professionalism of our drivers is not questionable at all. The top-class service is guaranteed whereas the ability to speak foreign languages, and especially English will help the communication process. The chauffeurs can answer any of your questions and advise on any query. They will also provide maximum support while handling your luggage right from the moment you arrive, come to a hotel or leaving at the end of the vacation. They’re very hospitable, helpful and polite. 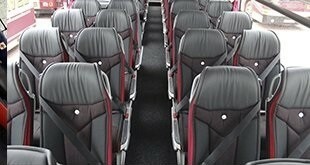 Coaches of a prestige manufactures can also be supplied if the query is made in advance. These vehicles give more comfort, have more room inside, and have better seats and more features. Wi-Fi facility could also be provided. There is particular pricing policy during times of public holidays, Christmas or long term rental.